Jamaica is an island country and its capital city is Kingston. Jamaica is situated in the northern Caribbean Sea. It is standing south of Cuba, south-east of the Cayman Islands and west of the Hispaniola Island. 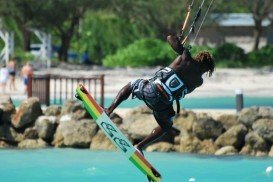 Jamaica is also the paradise for water-sport lovers. Negril is a famous tourist destination in Jamaica. It is located on the western side of the island. Negril offers many leisure and sport activities to its visitors. 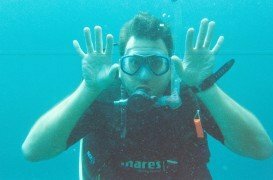 Tug Boat is an interesting scuba diving site. 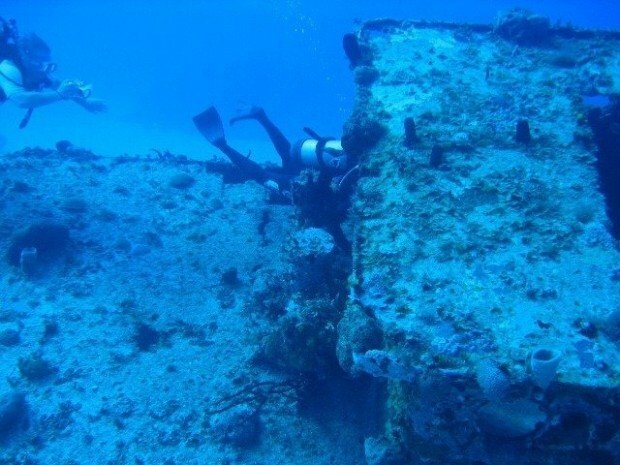 The wreck lies at a depth of 29 m/95.1 ft, on the western coast of Negril. 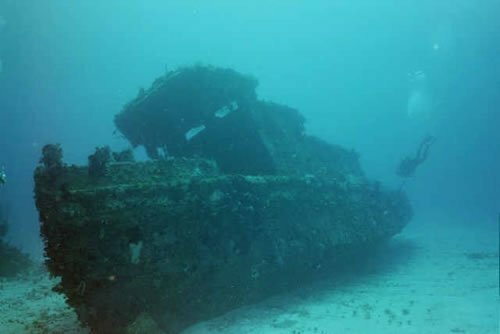 It was sunk in 1993 and now it is officially an artificial reef. 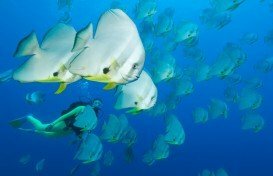 Divers can observe many kinds of fish, like barracuda and eagle rays. 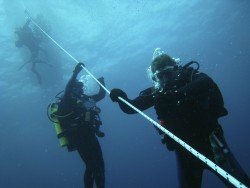 The underwater visibility, depending on weather conditions, ranges between 10 m/32.8 ft and 30 m/98.4 ft. Furthermore, the temperature of the water varies during the year. The maximum temperature can reach up to 21.1°C/70°F in winter, while the minimum temperature is about 26.7°C/80°F in summer. Jamaica has a tropical climate. That’s why the weather is pretty good all year round with high temperatures. More specifically, the temperature averages from 22°C/71.6°F to 30°C/86°F. Divers can practice their favorite activity on this spot during all year. However, the conditions are ideal during the two following periods. The first one lasts from May to June, while the second period lasts from October to December. Hurricanes may negatively influence the weather conditions with temporary rainfalls. Hurricane season officially lasts from June to November. 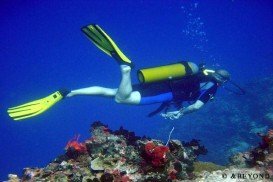 Finally, Tug Boat dive spot is a great place for all levels of divers. Don’t forget to book your dive in advance. Pemba Island, the second of Zanzibar Island complex, is part of Tanzania and the nearest point of the country to the equator. Due to its particular geographical position, Pemba Island offers mild weather conditions and warm climate all year round. 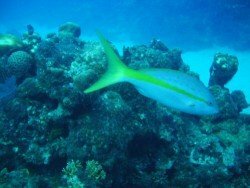 These conditions make Pemba a super scuba diving destination worldwide. 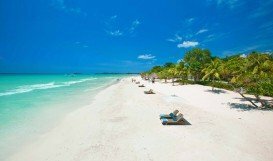 Bamburi Beach is a 20 minutes drive from Mombasa town and 45 minutes from the Mombasa International airport. 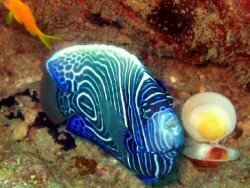 It overlooks the calm waters of the Indian Ocean and within the Mombasa Marine Park. The country of Jamaica is located south of Cuba, in the north Caribbean Sea. It is also standing west of the Hispaniola Island and south-east of the Cayman Islands. Kingston is the capital city of Jamaica. Jamaica is an island country located in the northern Caribbean Sea. It lies in the ''hurricane belt'' of the Caribbean. Jamaica is also standing south of Cuba, west of the Hispaniola Island and south-east of the Cayman Islands. The capital city of Jamaica is Kingston. Jamaica lies in the northern Caribbean Sea, south of Cuba. This country island is also located west of Hispaniola Island and south-east of the Cayman Islands. The capital city of Jamaica is Kingston, which is the largest city of the country and is standing on the south-eastern side of the island. Jamaica is an island country located in the northern Caribbean Sea. 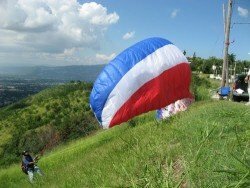 It is standing south of Cuba and west of the Hispaniola Island, that contains the Haiti and Dominican Republic nations. The capital city of Jamaica is Kingston. Kingston is situated on the south-eastern side of the island. Jamaica is an island country located south of Cuba. It is also standing on the south-eastern side of the Cayman Islands and west of the Hispaniola Island. Jamaica lies in the northern Caribbean Sea and its capital is Kingston.